The lands remained in the Monro family for almost 100 years. This was the last time the estate was to be owned as a whole until, sometime after the death of Alexander Monro, tertius, in 1859, plans were made for feuing out parts of Craiglockhart Estate for building purposes. 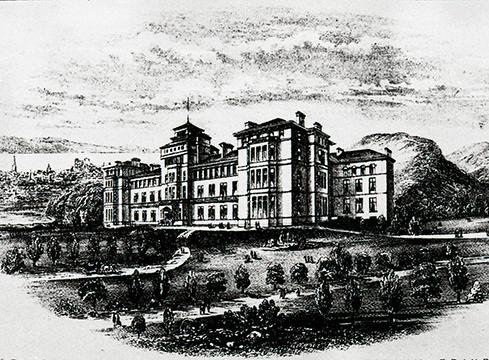 These plans came to fruition in 1863 when Craiglockhart Estate was sold to the City of Edinburgh Parochial Board, who established the New City Poorhouse in 1867. In 1873 the Parochial Board sold much of the west part of the estate to the Craiglockhart Estate Company for residential development. In 1877 thirteen acres between Colinton Road and Wester Craiglockhart Hill was feued to the Craiglockhart Hydropathic Company. 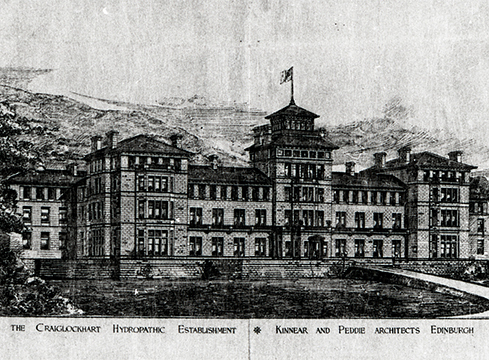 The feu charter required the Hydropathic Company to erect buildings within three years to a value of not less than £10,000 and stipulated that no factories or public houses were permitted. The existing house, which had been used as a farmhouse, was demolished and a "giant Italian villa" was erected by architects Peddie & Kinnear in a commanding position on the north side of Wester Craiglockhart Hill. The main Façade and Belvedere Tower looked north-west over a great sweep of moors to the Firth of Forth and distant hills. "The Establishment affords to its residents all the amenities and retirement of quiet country life ... The interior of the building contains a spacious suite of Public Rooms opening off a handsome corridor 140 ft in length and consisting of large Dining-Hall, Drawing-room, Reception-Room, Doctor’s consulting room and a magnificent Recreation Hall ... there are several luxuriously furnished parlours and detached suites of private apartments, commanding extensive and charming views." "A commodious Billiard-Room ... is also provided. Bedrooms are spacious and light and are most comfortably and elegantly furnished and the entire accommodation is suited to modern requirements and the most fastidious tastes. The Baths which form a special feature in this Establishment comprise a large and luxuriously fitted up Turkish Bath: a spacious and lofty swimming pool, with a water surface measuring 50 ft by 22 ft ... There are also constantly open ... special Bath rooms with all the varieties of hot and cold plunge, vapour, spray, needle, douche and electrical baths ... The gardens extending to about twelve acres have been tastefully laid out with lawn, shrubberies and ornamental plantation, interspersed with agreeable walks leading to various points which command the finest views of the City and surrounding scenery, and there are also courts for Lawn-tennis and Croquet, with Archery-grounds and Bowling greens ... further privilege of wandering ... over the picturesquely wooded hill adjoining which was laid out some years ago at considerable expense with winding paths and pleasant resting spots among its cliffs." Despite these attractions, the Hydropathic was not greatly profitable, and only one year after opening the directors had to raise a loan of £ 25,000 against the security of the property. Following further financial problems and difficulty in finding a prospective buyer, the Hydropathic was eventually sold to James Bell of Dunblane Hydropathic Company Ltd in 1890. 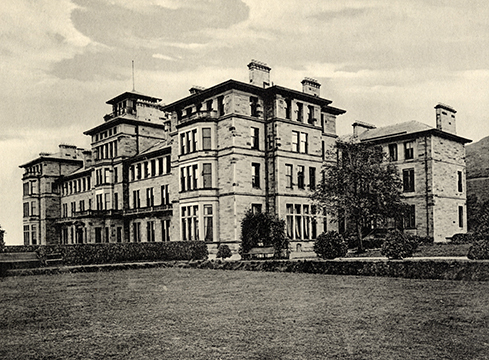 Under Mr Bell’s management Craiglockhart, now re-named the Edinburgh Hydropathic, operated successfully up to the time of the First World War. Between 1916 and 1919 the building was used as a military hospital for the treatment of shell-shocked officers. It was here in August of 1917 that the poets Wilfred Owen and Siegfried Sassoon first met. 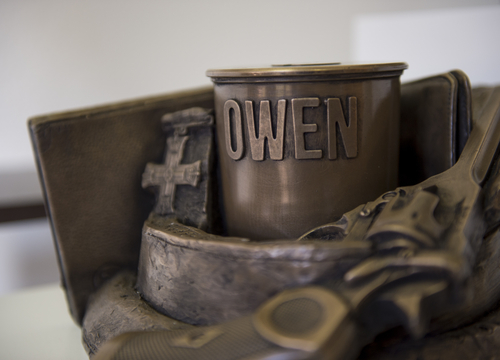 Despite the traumas of the war, the few months they spent at Craiglockhart were a productive period for both of them and their relationship was influential, particularly on the poetry of Owen who was only just beginning to find his poetic voice. 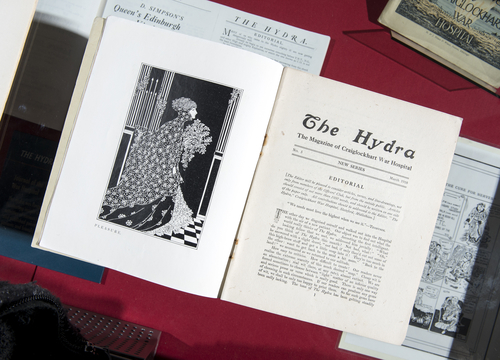 The work of the doctors at Craiglockhart especially that of Dr William H. R Rivers and Dr Arthur J Brock, was also notable, indeed some of it ground-breaking for the time. 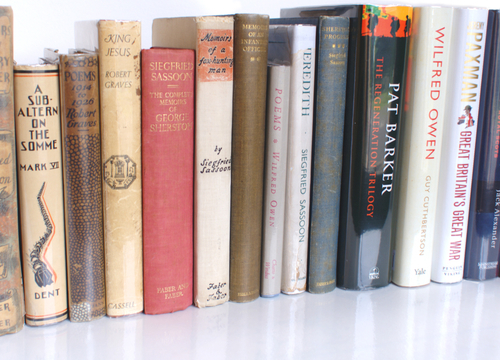 The friendship between Sassoon and Dr Rivers was to become life-long.